Share your workbook with others and collaborate on the same file at the same time. Add tables and charts to make your data visual. Use AutoSum to quickly add totals. If you're using the desktop version of Excel on a Windows PC, see this Excel Quick Start. If you're using the desktop version of Excel on a Mac, see Office for Mac Quick Start Guides and Excel for Mac Help. 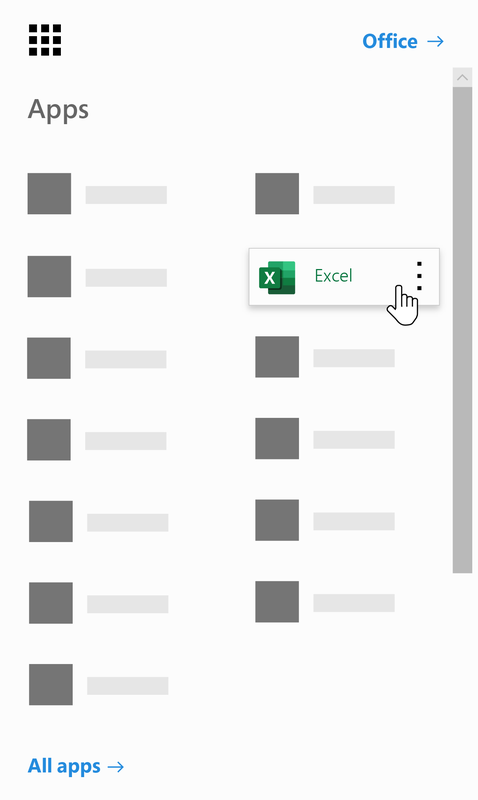 Select the Office 365 App Launcher , and then select Excel. Select New blank workbook, open a Recent file, or select one of the templates.